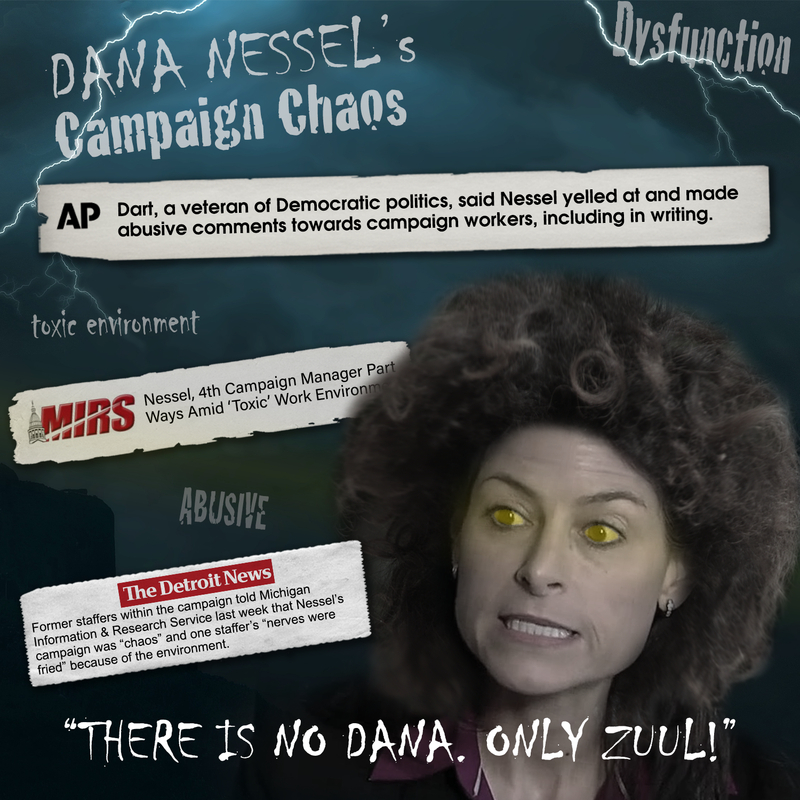 There Is no Dana (Nessel), Only Zuul! Turns out, Dana Nessel is a bully. That’s the allegation being laid at the feet of the Democrat nominee for Attorney General by… her own former staff members! According to published reports and public media interviews granted by former Nessel staffers, the candidate is mean, angry, abusive, and has created a hostile work environment on her campaign. “Everyone was working in fear of contact with the candidate,” he told MIRS. What’s worse may be the reason Nessel fired Stone. This week, the former spokesman went public with the truth – Nessel appallingly fired him not for cause, but for publicly telling his story about his own experience being bullied over his sexuality. Dana Nessel is a bully. Call her at 248-934-0316 and tell her that Michiganders want people to fight FOR them, not WITH them.